An Armstrong research team has combined high-temperature insulative and advanced composite materials in a unique design to protect aerospace vehicles from both the high aerodynamic loads as well as high temperatures generated by reentry from space. 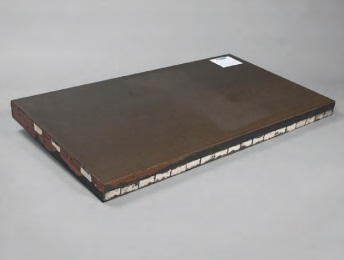 This dual-purpose sandwich panel design carries both thermal and mechanical loads and increases the operational efficiency of hypersonic vehicle aeroshells. Conventional multi-use hypersonic vehicles typically use non-load-bearing insulation systems to thermally protect the vehicle while using an internal skeleton to bear the mechanical loads. The Armstrong-developed SITPS offers a combined advanced thermal protection system that is both structurally and volumetrically efficient. It uses high-temperature, ceramic-matrix composite and lightweight insulation materials. Incorporating the insulation within a more robust sandwich panel could significantly reduce the operational costs for preparing a vehicle for its next mission. and thermal performance characteristics. In addition, the team examined alternate sandwich core designs to increase the overall thermal and mechanical performance of the concept panels. Looking ahead: Next steps involve developing panel closeouts and panel-to-panel joints in addition to manufacturing curved SITPS panels.